Neenah, WI - Fleets waiting until closer to the December 18, 2017, ELD mandate deadline to make the transition to electronic logging devices have a new way to ensure they’ll be compliant in time. J. J. Keller & Associates, Inc. has introduced the J. J. Keller® ELD Reserve It Plan, which enables fleets to reserve J. J. Keller® ELDs with guaranteed shipment between November 1-10, 2017, and zero service fees until January 2018. The offer runs through October 31, 2017. J. J. Keller® ELDs, which are on the FMCSA’s ELD registry, are compliant with the ELD rule and work with all vehicle classes. 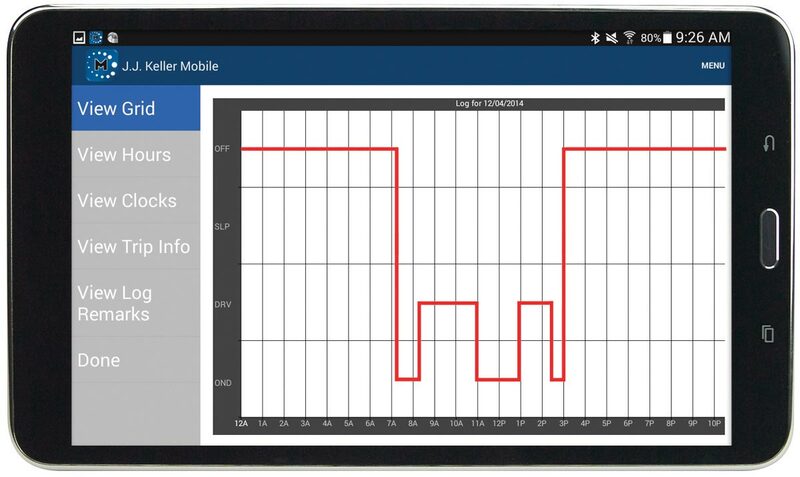 They’re also part of J. J. Keller's Encompass® Fleet Management System with ELogs, which includes an online dashboard for Hours of Service compliance, an ELog app that’s compatible with most smart devices, and service options ranging from stand-alone ELogs to full performance management. For additional information about the J. J. Keller® ELD Reserve It Plan, call 855-693-5338 or visit JJKeller.com/ReserveELDs. Since its beginning as a one-man consulting firm in 1953, J. J. Keller & Associates, Inc. has grown to become the most respected name in safety and regulatory compliance. Now over 1,400 associates strong, J. J. Keller serves over 560,000 customers — including over 90% of the Fortune 1000® companies. The company’s subject-matter expertise spans nearly 1,500 topics, and its diverse solutions include ELogs and mobile technology; training via online courses, streaming video or DVD; online management tools; managed services; consulting services; online and print publications; forms and supplies.